A lovely looking gift set from stalwart Islay distillery, Lagavulin. This pack comes with a bottle of the 2016 Distiller’s Edition, which takes Lagavulin’s classic sherry-influenced, oily, peated spirit, and finishes it in sweet Pedro Ximénez casks, for an extra layer of sweetness and complexity. The bottle is differentiated from the regular Lagavulin 16 by its crisp mint-green colour scheme. 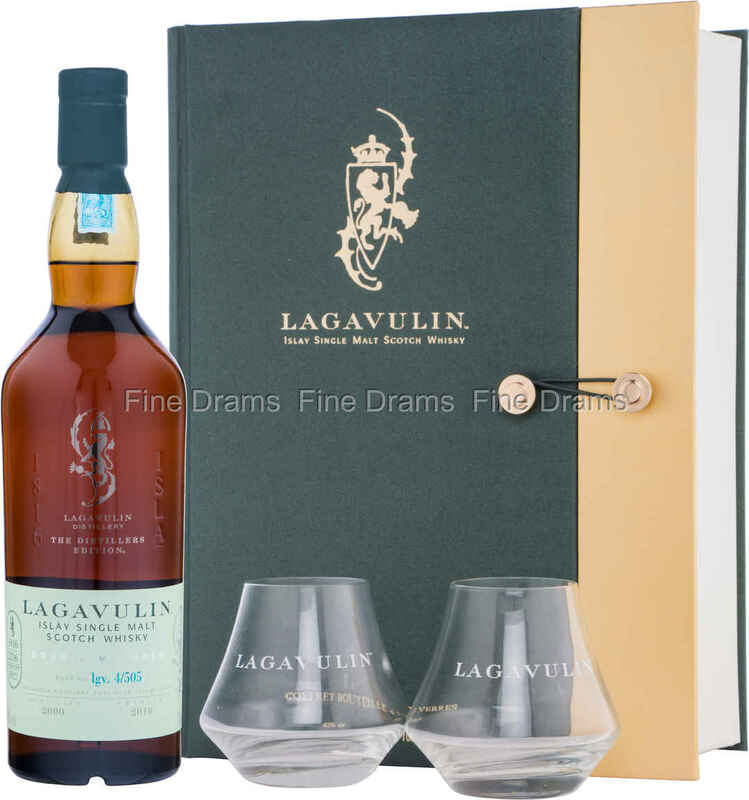 The gift set is completed with two Lagavulin tasting glasses, tapered to focus the aromas of this superb whisky. All contents are packaged in a smart, book-style box. This would make the ideal present for any Laga lover!